Maintaining fitness helps them overcome growing health issues such as obesity and chronic disease and a home gym is an option which would also encourage improvement of strength, endurance and flexibility. For many Boomers, the best way to reach their fitness and wellness goals will be the installation of a compact, all-in-one home gym. 2 So What is the Best Home Gym for Boomers? 3 Best Home Gym on a Budget. 5 Top of the Range Best Home Gym for Boomers. With an all-in-one home gym, you are getting all the benefits of heading to the traditional gym, but with the ease and convenience of working out from home. And, since many of these all-in-one-gyms can be easily folded and stored, they can be used in practically any room of the house. Imagine working out in the family room while your grandchildren are playing nearby. Moreover, since most physicians recommend a series of toning and shaping exercises for Baby Boomers, the multi-function home gym is a clear winner. These machines are designed to guide muscles smoothly through a full range of motion. In fact, the American Council on Exercise recommends machines over dumbbells and barbells. 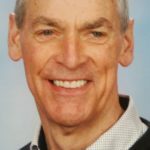 As we get older, it’s too easy to lose your balance with free weights or put too much strain on your muscles if you are doing an exercise incorrectly. 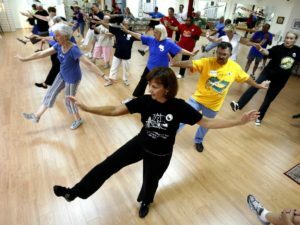 Dancing is a great way for boomers to maintain health and fitness. 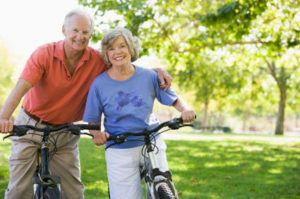 The best exercises for Baby Boomers are those that tone and shape muscles that are used in everyday activities – going up and down steps, for example. And, since many Baby Boomers are now leading a relatively sedentary lifestyle, most doctors recommend a mix of cardio activity as well. This can be as simple as going for a daily walk or engaging in low-intensity fitness such as dance. In picking out a home gym, Baby Boomers should be looking for all in one machines that offer four key exercises. back extension (for the lower back muscles, to prevent the stooping position often seen in the elderly). By doing 3 sets of 10 repetitions for these 4 exercises, 2-3 times a week, you have the basis for an effective Boomer workout that will build overall strength and endurance. So What is the Best Home Gym for Boomers? There are a variety of options, but Boomers can usually skip the machines that focus on extreme weightlifting and bulking up. Instead, the focus should be on the all-in-one machines that offer the 4 basic exercises and that are compact enough to fit in a room at home. We have looked for the best home gym machine to fit your budget. Best Home Gym on a Budget. At the low end of the price range, the multi-station Marcy MWM-9900 is a clear winner. It offers a 150 lb. weight stack (which is more than enough for simple toning and strengthening), a compact design, and plenty of upper and lower body exercises for any Boomer fitness routine. 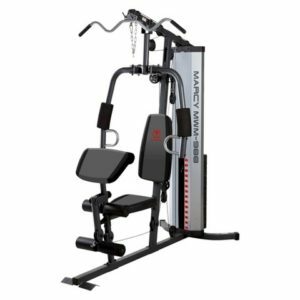 This is a well-constructed gym made of high-quality materials from a trusted brand – Marcy Fitness Products has been in business for over 75 years. To find the best Marcy gym price from Amazon, click the link. It uses the patented Power Rod Technology to deliver 210 pounds of resistance. With this Power Rod Technology, you’re not dealing with weight stacks because a system of cables and pulleys deliver all the resistance. To find the best Bowflex Blaze home gym price from Amazon, click the link. Top of the Range Best Home Gym for Boomers. Bowflex Xtreme. 70 different exercises. 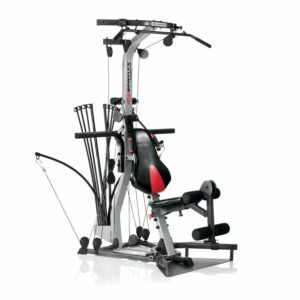 Finally, if you’re looking for a high-end all-in-one home gym, the Bowflex Xtreme is a step up from the Bowflex Blaze. It uses the same Power Rod Technology, but offers 70 different exercises. This is a complete toning and slimming home gym that’s compact, made of sturdy materials, and looks great in any room of the house. 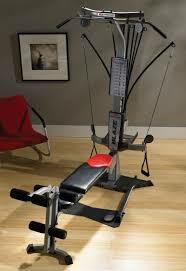 To find the best home gym price for the Bowflex Xtreme from Amazon, click the link. For Boomers, choosing a compact, multi-function home gym can be the best way to get all the fitness benefits of a traditional gym, but in the comfort of your own home. You won’t need to wait in line to squeeze in a few reps, and you won’t need to worry about being intimidated by younger gym goers. You can make fitness a core part of your Boomer lifestyle and do it in a safe way that builds strength, endurance and flexibility. Choose one of the options above and follow the link to see the best home gym price on Amazon. Make the choice now for your health, and well being.